Reuters is now confirming that Muammar Gaddafi is dead. Libya’s Prime Minister has also confirmed the news. The tyrant of Tripoli - a man whose hands were soaked with blood, a man who called himself the “King of kings” - has been brought to justice. Now, in death, he knows the truth: that Jesus Christ is the King of kings and Lord of lords. As an evangelical Christian, I will pray for his family and colleagues, that the Lord would comfort and console them and that they would repent of their sins and receive Jesus Christ as their Savior and Lord. Now there are new concerns: Will Libyan people - so badly oppressed for so many years - truly be set free, or enslaved by leaders as bad or worse than Gaddafi? Where is Libya headed next? Will the rebels ally themselves with the West, or with the Radical jihadists of Iran, Sudan and al Qaeda? 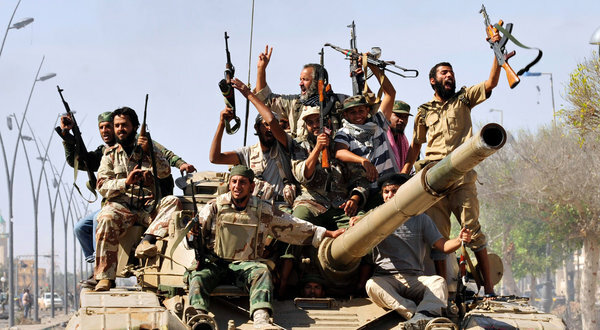 The mullahs in Tehran have been seizing the initiative and moving strategically in recent months to exploit the chaos in Libya and build an alliance with the rebels. They are eager to build an anti-American, anti-Israeli coalition throughout the Middle East and North Africa to lay the groundwork for an Islamic caliphate. What’s more, the mullahs in Tehran believe the fall of leaders in Libya, Tunisia and Egypt are prophetic signs that the Twelfth Imam’s arrival is soon, as explained in the Iranian documentary film, “The Coming Is Upon Us,” released earlier this year. Below, I’ve posted some articles from the past several months showing how systematically Tehran has been involved in making sure Libya falls Iran’s way, not America’s or NATO’s. These are stories worth tracking more closely. At the same time, followers of Jesus Christ now need to do everything possible to get the Gospel into Libya. Christians should use satellite television, radio broadcasting, the Internet, social networking tools and “boots on the ground” to get the Bible’s message of hope, freedom and salvation through Jesus Christ alone into the country, and do everything possible to strengthen the persecuted believers there and plant new church congregations. As I wrote earlier this year, the government of Libya will eventually play a distinctly evil role in the End Times, according to several Bible prophecies. We don’t know how much time we have until the Lord returns, so we must use this time of unrest to advance the Kingdom of Christ courageously and wisely.